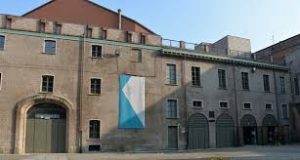 TiM 2018 will be held at the Aula Magna della Cavallerizza Reale, Università degli Studi di Torino, Via Verdi, 9 – Turin (Italy). Established at the beginning of the XV century by Prince Ludovico of Savoia-Acaja and officially recognized by Pope Benedetto XIII in 1404, the University of Turin is one of the oldest Italian institutes. Today it represents one of the leading Italian public Universities with an international reputation for high quality teaching and research. Turin, an important business and cultural center in northern Italy, is the capital of the Piedmont region, Surrounded by rolling green hills with snowy Alpine peaks in the background, the historic centre is filled with sumptuous baroque palaces and art nouveau mansions, and a labyrinth of shady arcades lined with fashion boutiques, cafés, and romantic restaurants serving delicious Piemontese cuisine. For more information please visit http://www.turismotorino.org. The International Airport “Sandro Pertini” is Located in Caselle,16 kilometres far from the city center. The airport is connected with Torino via train in 19 minutes and via bus in 45 minutes. The other closest airport is Milano Malpensa Airport, (~140 Km). It is connected to Torino by bus. Travelling by car to and from Torino is quite practical due to good links to the rest of Italy and to France and Switzerland. For those coming from Aosta Valley (A5), Lombardy (A4 and A21), Liguria (A26-A21 and A6), from France (A32) or from the rest of Piedmont, every motorway converges on Turin’s ring road (A55).